People are always looking for ways to make money on the side or find a steady income as a back up to their current earnings. Children from a young age are taught that having many properties under your name mean more money in your bank thanks to Monopoly. Adults of all ages are looking for the best ways to invest. The headaches come in when their regular lives get mixed in with the constant attention required when managing a property. 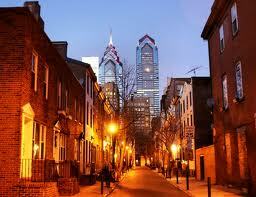 You must be curious how a Property Management Company Philadelphia can help you out! Look no further because you’ve stumbled on the right page! Leasing: When a property management company Philadelphia sets out to lease your unit, there needs to be minimum down time between the old tenants and the new ones. It’s crucial to minimize the gap in between to produce maximum profits. 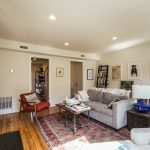 The intelligent marketing team at JG Real Estate puts out HD video tours for each listing that is sent out over 100s of websites. This is done months before the old tenants’ lease is over for maximum efficiency. Rent Money Collecting: Landlords may find dealing with personal checks quite the hassle and prefer not going to the bank each time to deposit a check. Tenants might try to convince their way into making late payments free of charge or tug on your emotional strings to get what they want. Having a professional management team ensures that payments are received in a timely manner. JG Real Estate offers tenants a direct deposit system via ACH that cuts out your trips to the bank. It’s an efficient system that guarantees payments with no ifs or butts. Maintenance: Late night maintenance calls are bound to happen and landlords may find it challenging to tend to every request. Most property owners have their personal and work lives to worry about, so managing another home may not have top priority at all times. When requested, Property Management Company Philadelphia will take care of every maintenance call! At JG Real Estate, we have an in-house maintenance team that takes care of most calls. This gets rid of dealing with 3rd party vendors that may not be reliable or trustworthy. Great Management: Happy tenants mean happy landlords, which mean overall stratification for everyone involved! 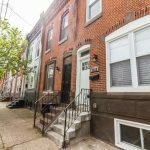 The property management company Philadelphia needs to have the objective of making their tenants happy. This results in maximum profit for both the property owner and management team. Live Chat: If you look above on the top right hand of this website, you will find a live chat button where you are able to chat and fix up an appointment to talk to our property manager, Jared, who is able to answer any questions you might have. Office Phone: You can reach us 9AM -5PM Monday-Saturday and fix and coordinate the best time for you to discuss your property management. Visit us: There’s always the old fashion way of visiting the office, stop by and visit us at 535 East Girard Avenue, Philadelphia PA 19125 and meet the team in person!